Members of the public may assist by providing nominations in writing. The nomination should be provided as soon as possible so that the selection committee may fully consider the submission. Where nominations are not accepted for induction in the year they are first considered they will be retained for consideration for subsequent inductions to the Tasmanian Football Hall of Fame that will occur annually. Players, coaches, umpires, administrators/volunteers and media representatives will be considered eligible for induction into the Tasmanian Football Hall of Fame based on a candidate's outstanding services and overall contribution to the game of Australian Football. The selection committee may consider a candidate's individual record, ability, integrity, sportsmanship and character. 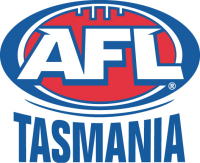 Candidate's currently participating in any aspect of the game of Australian Football may be inducted into the Tasmanian Football Hall of Fame. Nominations should include the contact details of the person that is being nominated or their next of kin, including: name, address, phone contact. Confidential: Hall of Fame, AFL Tasmania, PO Box 1896, Launceston 7250. Confidential: Hall of Fame, AFL Tasmania, PO Box 520, North Hobart 7002. The closing date to receive nominations annually is the third Wednesday of February. Scott Wade - General Manager on 62301800. Daniel Smedley - Hall of Fame Manager - Aurora Stadium on 63330583.